Planned Parenthood released its annual report for the 2017-2018 fiscal year quietly over the weekend. The report revealed that the number of abortions the group did this past year increased by over 11,000 from 321,384 in 2016 to 332,757. While the number of abortions and the amount of taxpayer dollars the abortion group received both increased, almost every other category of the group’s services went down. The abortion group’s reported number of patients held steady at 2.4 million, the same amount as in the 2015 and 2016 reports. While the number of patients is the same, the organization’s excess of revenue over expenses continued its dramatic increase and more than doubled from $77.5 million in 2015 and $98.5 million in 2016 to a whopping $244.8 million in 2017. This demonstrates that, contrary to the group’s narrative that their very existence is threatened by threats to their federal funding, they are doing extremely well financially. The “Message From Our Leadership” section of the report continued the group’s narrative that they provide vital healthcare services, despite the evident decline of those services in the report itself. “Planned Parenthood services — from birth control to cancer screenings to abortion — are standard medical care. Reproductive health care is health care,” Wen wrote. The group touted their political advocacy and opposition to the Trump administration. They claimed that in light of Supreme Court Justice Brett Kavanaugh's confirmation, "a new U.S. Supreme Court also presents a grave threat to access to health care." The report also featured information about their partnership with dating apps. A notably absent element of the report was any mention of their sponsorship of the Women’s March which was prominently featured in the 2016-2017 report. 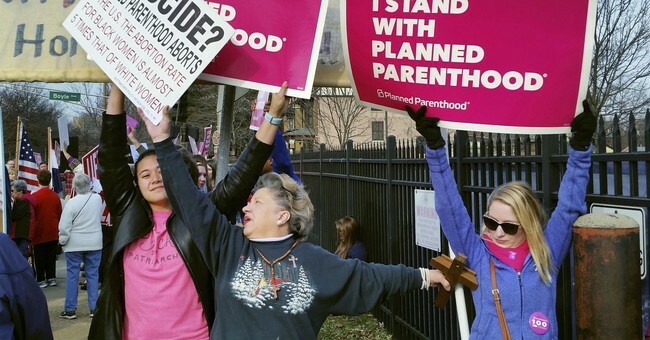 While the abortion group did sponsor the march this past weekend, it was despite a controversy over anti-Semitism from the Women’s March leaders that caused previous partners, including the DNC and the SPLC, to remove their support.